I have spent the last 3 years studying Occupational Therapy at university. This is not my first degree though, my first was Art and Design. I specialised in product design, even though I was much better at fine art and this has always been a curse of sorts as I always want to do something new and different, rather than stick to what I am good at. Between my degrees I worked but design jobs were thin on the ground during the recession so I was a model maker, and then a tax man, and then I lost the will to live and no longer had the time for drawing or creative things. This is why I decided to study occupational therapy, a change of career, something new. What I had not expected when going to study healthcare was I would go full circle back to fine art. I quickly found on my new degree that writing assignments was not my strong point. For me writing essays and papers it like drawing blood from a stone. As a result procrastination became my best friend and for every major assignment I developed a new interest or hobby. At first this was just drawing again, something a had not done seriously for years. Then it was building models like the one shown on my previous post. In the second year I started designing jewellery and set up a business which is still ticking along https://www.etsy.com/shop/FireTheLaser. I also took an interest in prehistory and started engaging in local archaeology and flint working. In the third year I had fewer assignments but they were fairly epic in size so I needed something new and really exciting to engage in whilst ignoring my work. This took the form of the Japanese art of Netsuke (pronounced netske or netski). 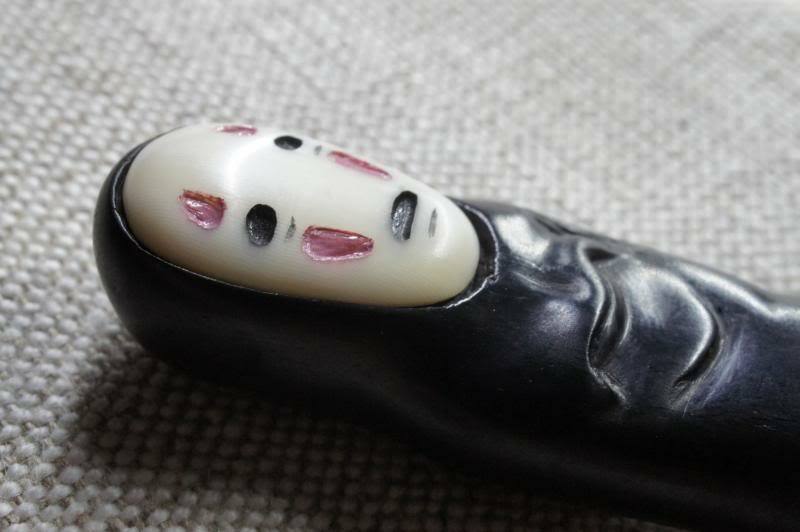 I had recently purchased two netsuke from someone in the local area. I was fairly certain they were authentic and had this confirmed by the International Netsuke Society. This inspired me to have a go at making one of my own as I had some wood lying around from when I was a model maker and from my first degree. 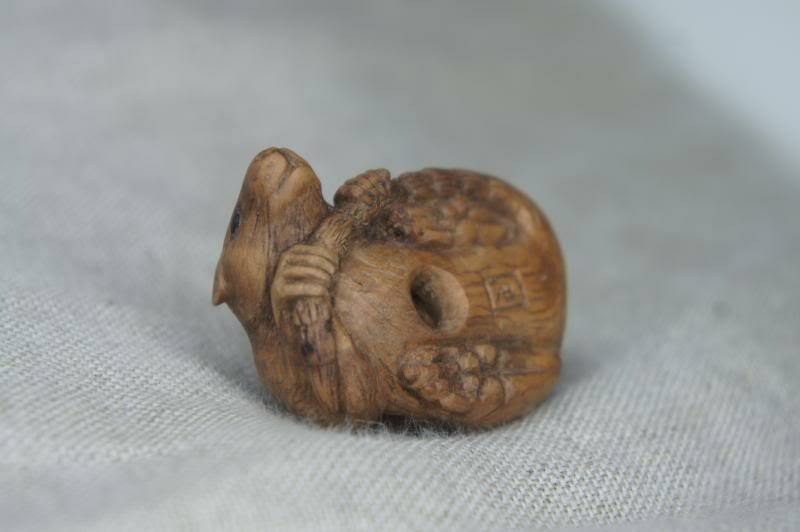 My first netsuke was done slightly blind. I hadn’t done any reading up on netsuke or subject matters and just started carving. 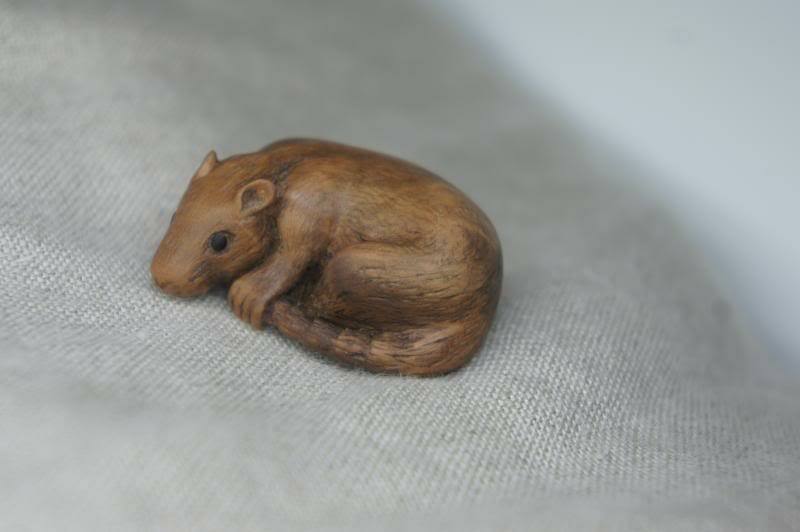 It turned into a rat and was mainly carved using a scalpel and some needle files. It tuned out ok but wasn’t the amazing result a had imagined it would be when I set out. However feedback I received on it was positive and encouraging so I started on something new whilst writing my dissertation. I decided to go down the route of more modern subject matter for my next piece but with some traditional elements. 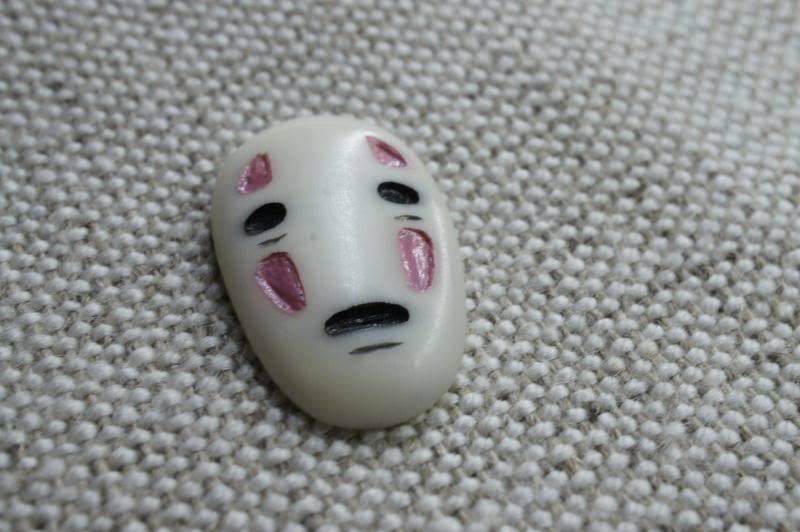 I have always loved the movies produced by Studio Ghibli and I especially love Spirited Away so decided to base my carving on one of its characters. In the movie some of the frog men can actually be seen wearing netsuke and inro. 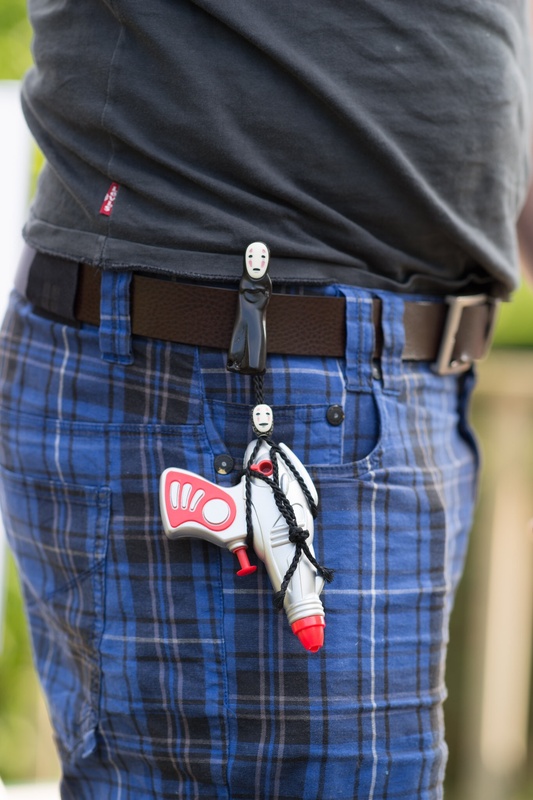 I chose No Face. This is a character I am always unsure if I like or not. 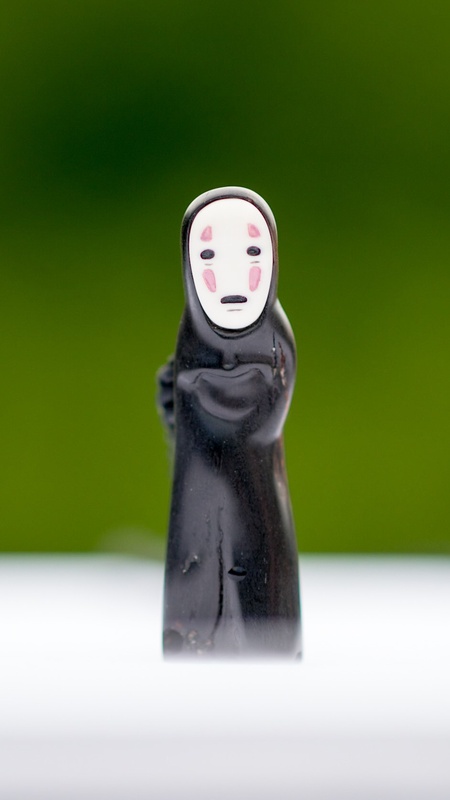 I don’t get how some people think No Face is cute or a ‘nice’ character. It eats other creatures to gain their abilities and does so by deceiving them, I am unsure on how this is cute. 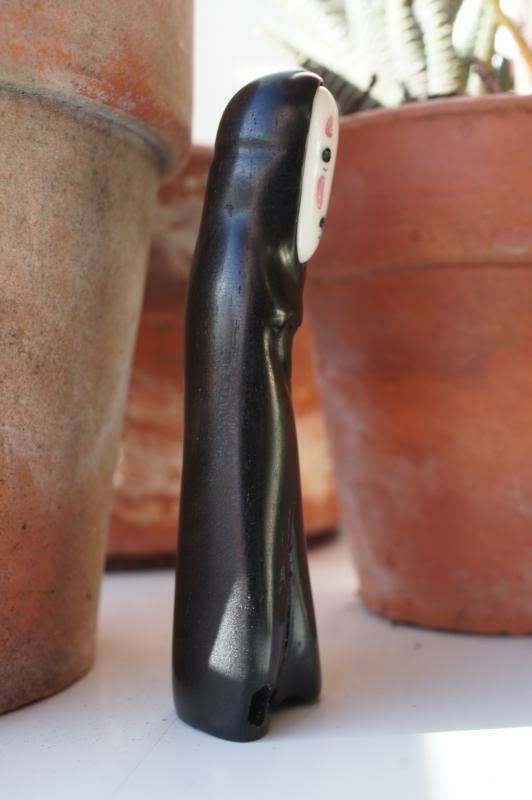 I had some offcuts of ebony and decided to use this for his main body. I had purchased some more tools at this point as well, larger files for shaping, sand papers and some offcut bone from ebay to use for his mask. I also found some guides on carving forums about making your own small chisels so also did this. Carving and finishing the piece took some time and was a major learning curve. Getting a good finish is hard when not using any polishing products but well worth it. Learning about composition and the attention to detail for a flawless finish is also not something I have done before. 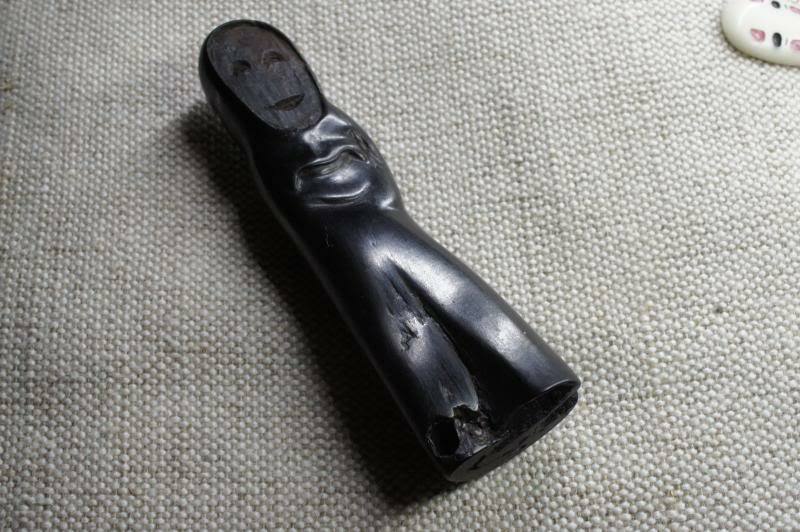 I was also taught to consider other non visual sensory aspects of carving such as the feel in the hand (netsuke are supposed to be handled) and the temperature of the piece from the materials. Fortunately I was given some expert advise on this. Essentially there are no shortcuts in producing good quality work. 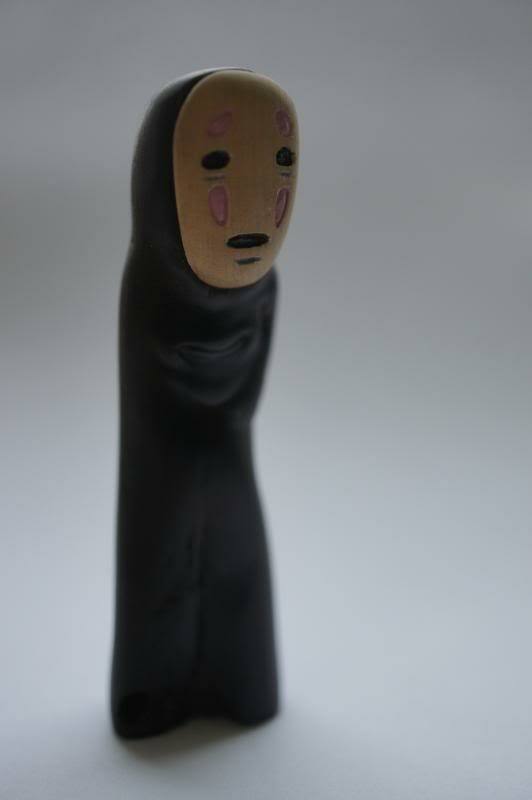 After a couple of months of working on No Face I think I can say it’s finished now. Here are the final results and some of the process shots. It might be worth explaining what I have done a little. 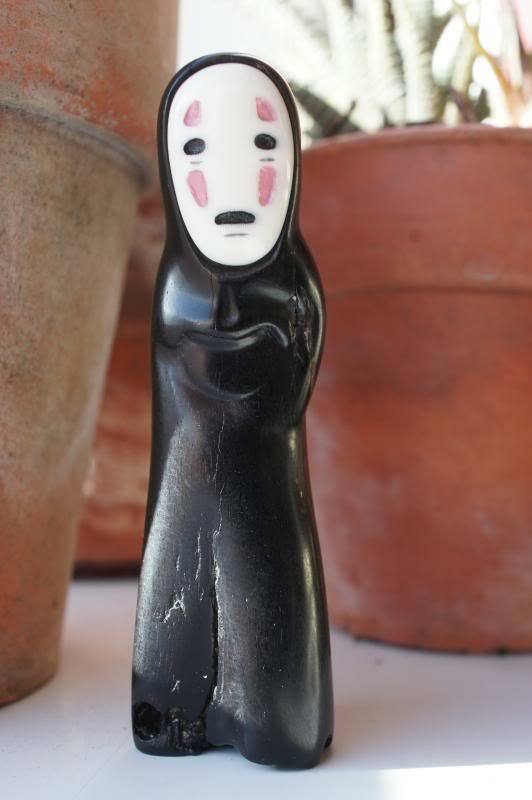 I have tried to give the impression of No Face’s mouth under its mask. I started by doing a wooden mask but didn’t like how it looked so used bone instead. I then inset the mask and made a impression round the back of the head to allude to something holding the mask on. The last few pictures show the finished result. 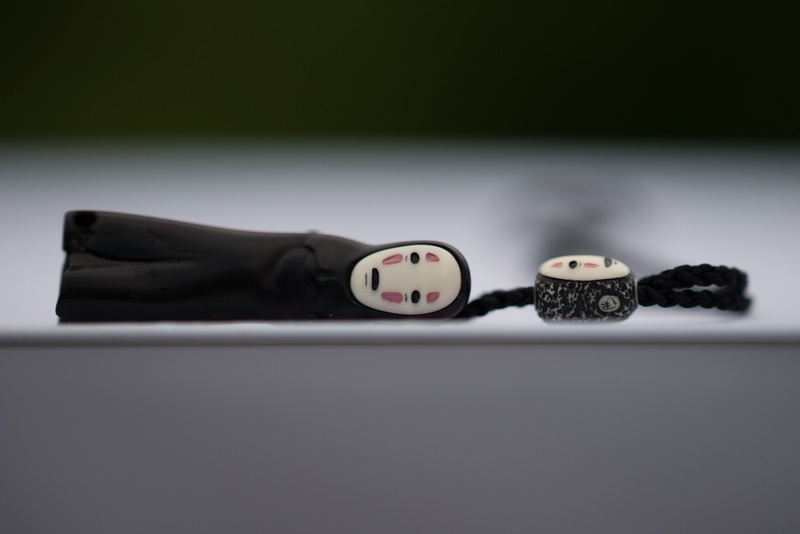 At this point I have made a matching ojime with a mask showing a different expression on each side and both have been connected using silk inro chord passed through the himotoshi holes. Also, it is worth mentioning I did pass my degree in Occupational Therapy and am now looking for a relevant job but I think my love of carving is here to stay and I am already working on several more pieces.